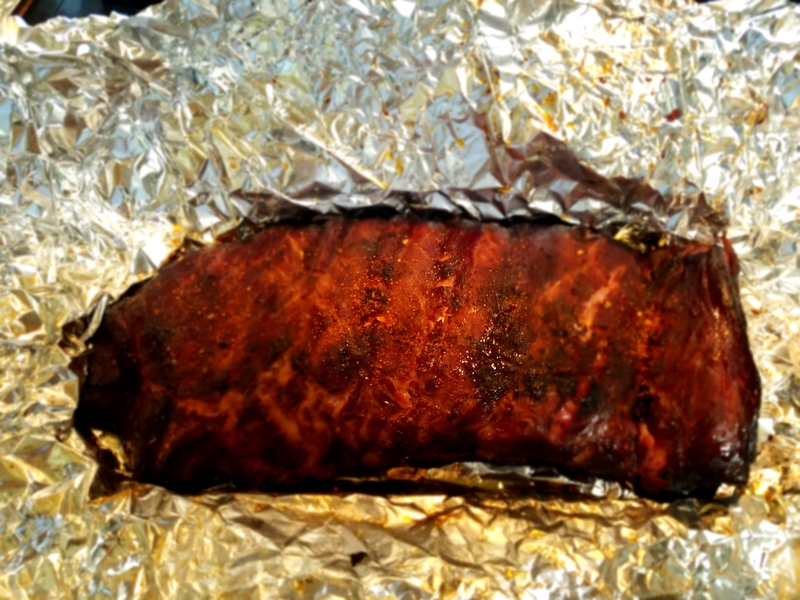 Spareribs, Baby Backs, Pork Shoulder, Chicken Thighs, Mac’n’Cheese, Oh My! I finally had the chance to smoke again on Tuesday. It was heavenly. 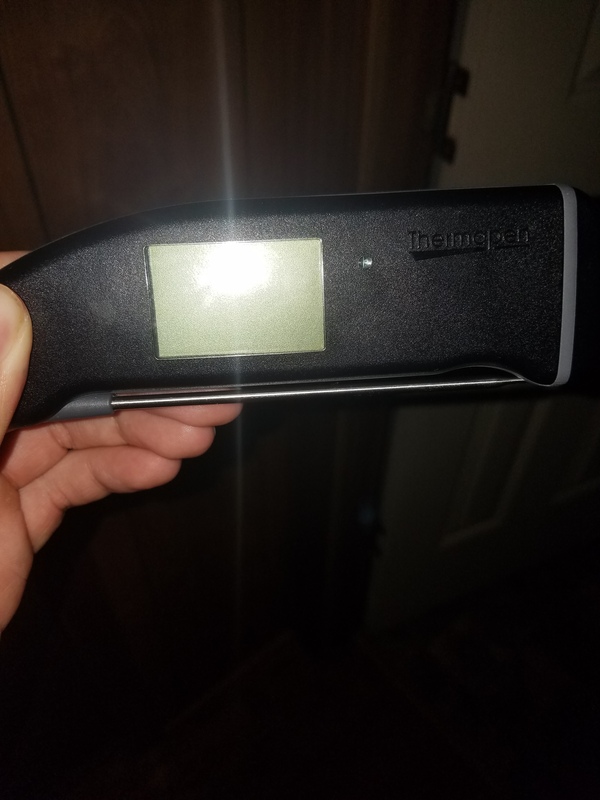 I received my Thermapen Mk4 from Thermoworks on Monday. I’m still undecided about it. I’ll write more about it in a future post. 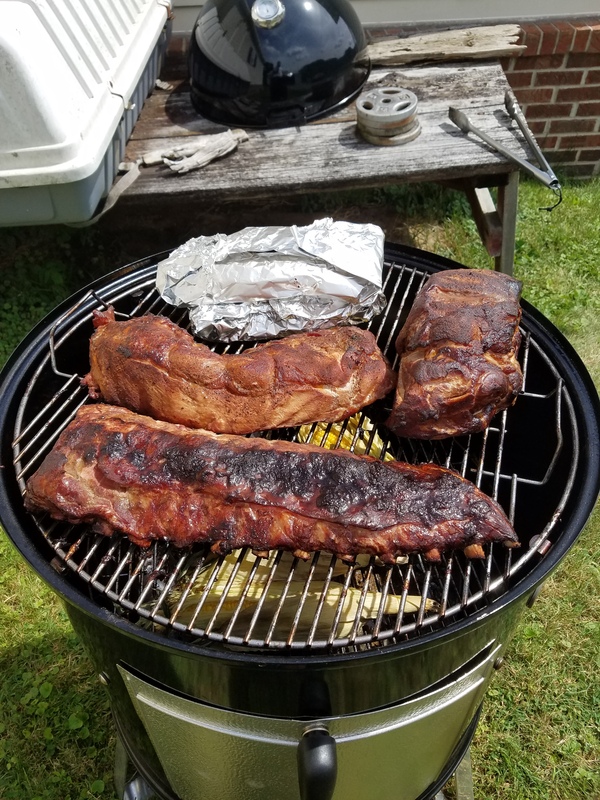 I smoked two racks of spareribs, two racks of baby back ribs, a 4.5 lb. 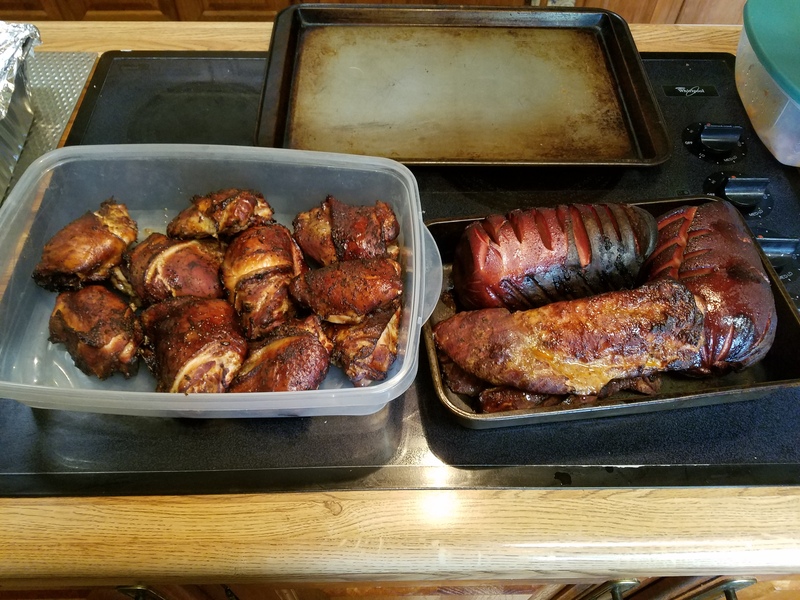 pork shoulder, bologna, chicken thighs, mac and cheese, corn on the cob and cabbage. A couple of the pictures aren’t great, but I never claimed to be a professional photographer! Uncle Yammy’s Memphis style chicken & rib seasoning was sprinkled liberally on all the racks of ribs except for one, which I used the KC Masterpiece habanero rub… dry rub that could have also doubled as a sauce if I would have mixed it with beer. I’m not much of a sauce guy, so I used it as a dry rub by default. It was OK… I’ll give it another shot. It tasted like the Lays barbecue potato chips, something I crave every now and again, and reminds me of summer school from my elementary school days. Tony Chachere’s Creole was sprinkled on the bologna. So good. Don’t write off smoked bologna until you’ve tried it. It’s fantastic. Garlic Jalapeno by Weber on the chicken thighs. I’m just about out of my favorite — Garlic Habanero — so I went with the jalapeno option. I may have slightly overcooked them, but they were still juicy and flavorful, so it wasn’t the biggest deal in the world. 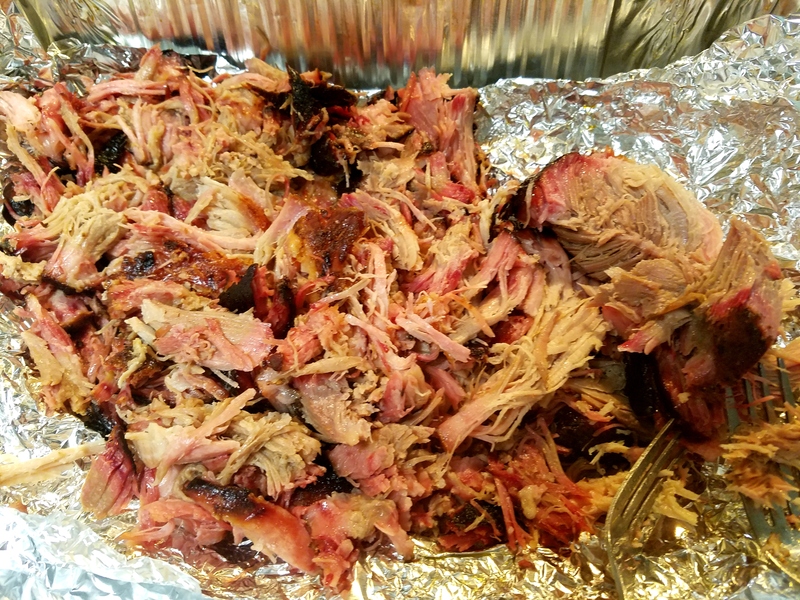 I used Caribeque Honey Heat on the pork shoulder. I love that stuff. 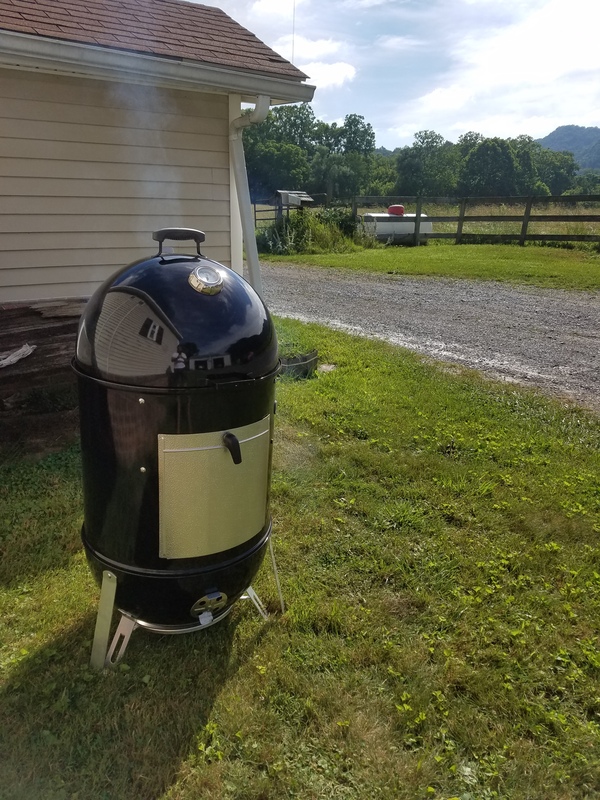 I ordered some Calypso Kick seasoning from Caribeque the other day, and I can’t wait to hot’n’fast smoke some wings seasoned with it on my Weber Smokey Mountain. Nothing but salt and pepper on the corn on the cob (not pictured). It was a favorite. 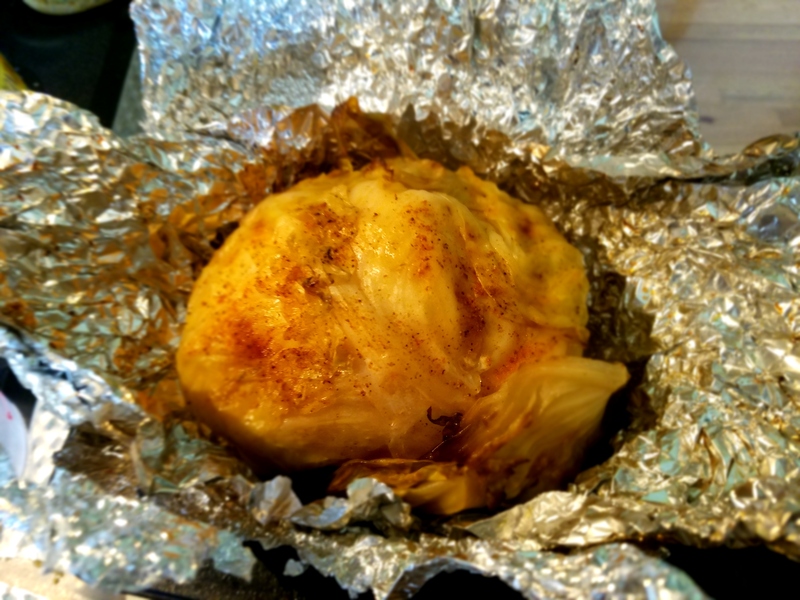 I added butter and Tony Chachere’s Creole seasoning to the cabbage. 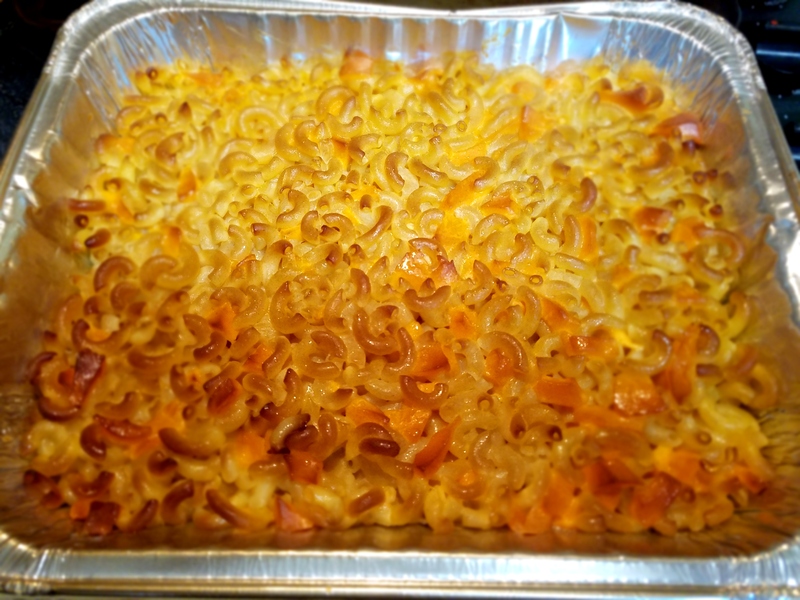 The mac and cheese was pretty good, though that needs some experimentation in the future. 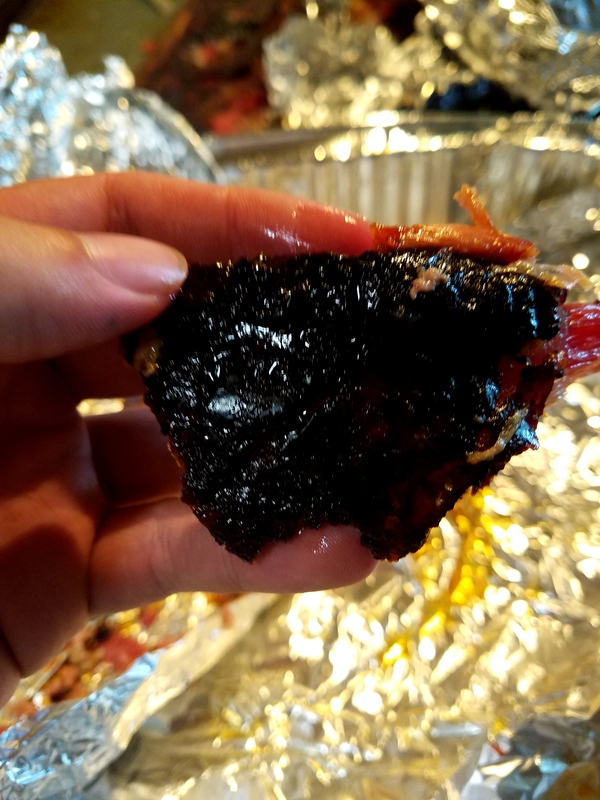 I only left it in the smoker for a little over an hour. It was a successful smoke, albeit I’m still learning the ins and outs of the Weber Smokey Mountain. It ate up my Royal Oak charcoal (briquettes) pretty quickly, but the guys over at TVWBB (The Virtual Weber Bulletin Board) said that I didn’t use enough charcoal to fill the ring completely, and to try a different variation of the Minion Method. Their points were noted. 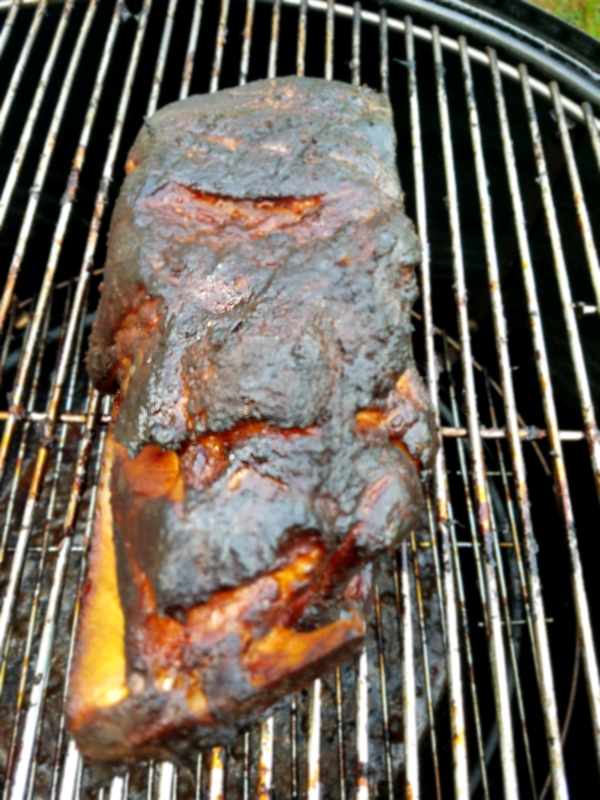 I used applewood for this smoke.